Roumen Radev, who is to take over as Bulgaria’s President in January 2017, denied on November 21 that the country is in a political crisis. Radev was speaking at a ceremony at Parliament at which the Central Election Commission handed over an official certificate confirming that he had won Bulgaria’s November 2016 presidential elections. Among those at the ceremony was National Assembly Speaker Tsetska Tsacheva, whose defeat at the hands of Radev in the presidential elections prompted the resignation of Boiko Borissov as prime minister. Radev said that the normal constitutional procedure was running its course and he urged that the situation should not be dramatised. There were two paths ahead, he said, either the formation of a government within the current Parliament, or the appointment of a caretaker cabinet and early parliamentary elections. It was the exclusive responsibility of incumbent President Rossen Plevneliev to appoint the caretaker cabinet, Radev said. “That’s in the constitution,” he said. 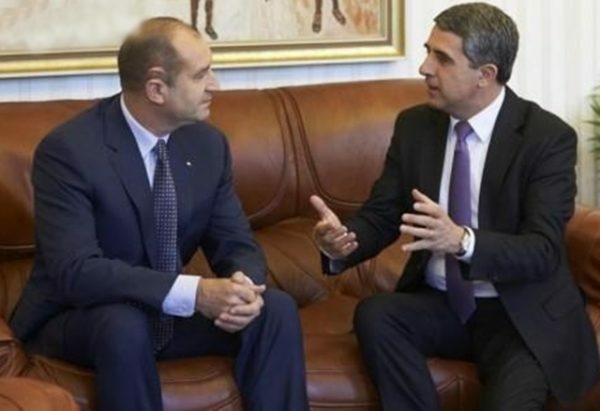 At the highest levels of Bulgaria’s government and state, there has been talk of Plevneliev and president-elect Radev working together to come up with a caretaker cabinet. The idea is to be prevent Plevneliev appointing one caretaker cabinet and then Radev, on taking office, dismissing it and appointing another. Radev said that he had Plevneliev’s assurance that he would be kept information. “I really rely on the experience and professionalism of Mr Plevneliev to draw up a good caretaker government,” Radev said. Plevneliev, in office as head of state since January 2012, has twice had to appoint caretaker cabinets – in 2013 and again in 2014. He said that if there was to be talk of early parliamentary elections, he would initiate a meeting with the Speaker of the National Assembly, with leaders of all parliamentary groups, with what he termed “experts” on electoral legislation and with the initiators of the November 6 referendum to discuss options regarding introducing a majoritarian voting system and to set out the actions necessary. Asked if he was ready with a caretaker government, Radev said: “A president should be ready for any situation and assume his responsibility”. He predicted that it was most likely that Bulgaria would go to early parliamentary elections. “But let’s not speculate,” he said. President Plevneliev is currently going through the process of conducting political consultations with all groups represented in the National Assembly. He already has met the leaderships of the largest party, Borissov’s GERB, and the second-largest, the opposition Bulgarian Socialist Party. Plevneliev is expected to meet the remaining six parliamentary groups this week. Borissov and the BSP both have said that they would decline the offer of a mandate to seek to form a government within the current Parliament. Among other parliamentary groups, the Reformist Bloc, the fourth-largest group, has said the same. According to the constitution, after the resignation of a government, the President must first offer a mandate for exploratory talks on forming a government to Parliament’s largest party, then its second largest and then to a group of his choice. While Plevneliev has called publicly for parties to try to form a government, reminding Bulgaria’s politicians that opinion polls show that most Bulgarians do not want early parliamentary elections, it appears that no major party wants to try to form a government, while any minority group trying to muster support for one would be doomed to failure – setting Bulgaria on course for parliamentary elections some time in spring 2017, no earlier than late March.